We clean your rugs on-site for a quality job done right. 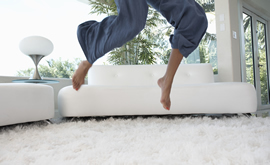 We can clean most area and wool rugs on site. We use proper pressure and moisture content to clean your rug with the proper pH detergents that will not damage your fine rugs. In addition we use a high-speed air mover to accelerate the drying time. Don't forget about your upholstered furniture and drapes. We clean most furniture right on site so there is no removing furniture or drapes and waiting for the return. 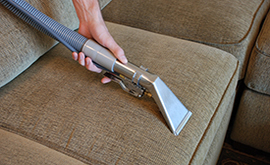 We use point specific cleaning techniques for your upholstery and drapes. Steam is a very effective cleaning, deodorizing, and sanitation method that will leave you with clean furniture and drapes. 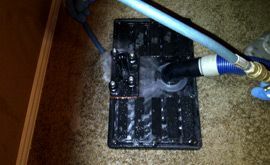 We can steam away that dirty grout and give you fresh clean tile for you, your family and pets. 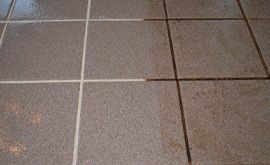 We have some great tile cleaning specials going on right now, so ask the technician. We are Pet Stain experts, whether it’s Cat Urine, Dog Urine, Cat Odor or Dog Odor, we can definitely get rid of the odor and in 98% of the cases, extinguish the yellow spots as well. All images and Content © 2015 - 2016 DFW Steam Cleaning. All Rights Reserved.